Hello! i’m finishing my twitch tv project but i still have one issue that i can’t solve. 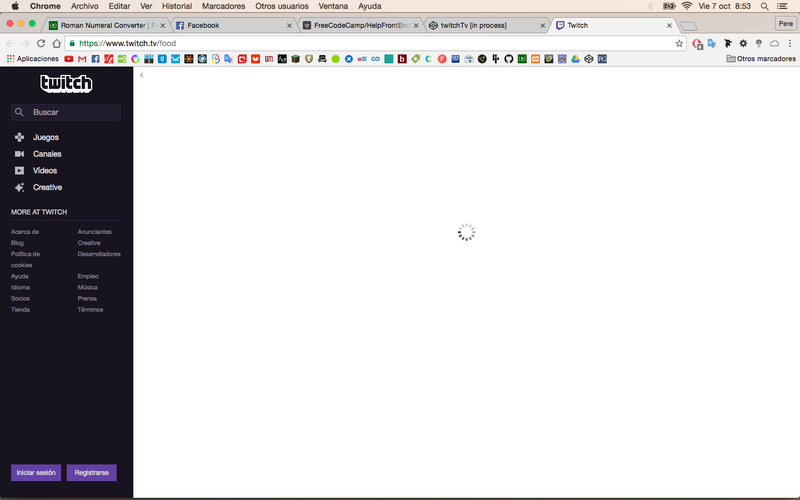 When you click in any channel, the twitch page doesn’t load and i don’t understand why. I appreciate some help! thanks! Hey, you made a typo on line 98 of your JS. It should be target="_blank" instead of _blanck. you are right, I corrected to target="blank" but it still doesn’t loads the twitch page some suggestion? How do you mean doesn’t load? It does open a new tab for me. this is what i see. Is it only in my device? Challenge http://www.freecodecamp.com/challenges/zipline-use-the-twitch.tv-json-api has an issue. Thanks to @BenGitter and @jenovs for helping me!